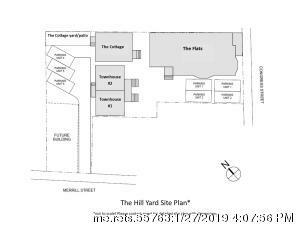 Welcome to ''The Flats'' at the Hill Yard - a new, intimate condo community on Munjoy Hill centered around a common courtyard providing sunlight, greenery and a quiet escape from city life. 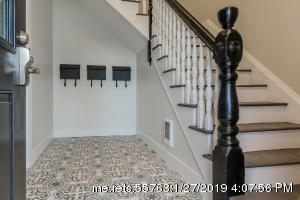 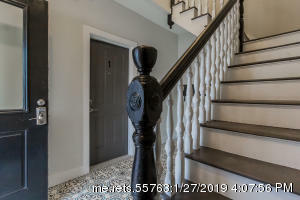 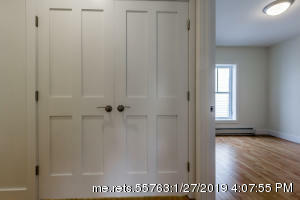 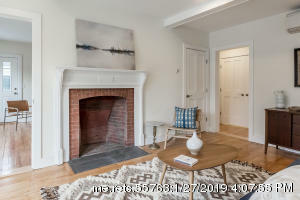 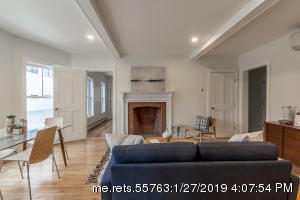 This spacious 1st floor single-level unit features high ceilings and period touches including original moldings, decorative fireplace surround and hardwood floors. 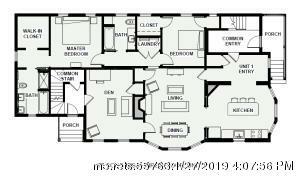 The flexible, open layout doesn't skimp on space with two bedrooms PLUS a den/office. 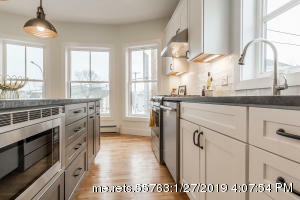 Enjoy views down towards the water from the kitchen which includes a large honed granite-topped island, custom cabinetry, and Bosch appliances. 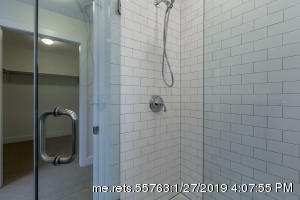 The private master suite features a glass enclosed shower and separate soaking tub. 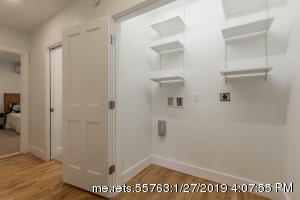 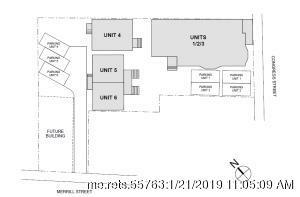 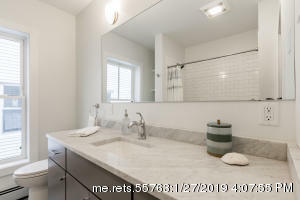 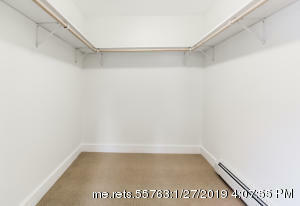 Condo includes two off-street parking spots and basement storage space. 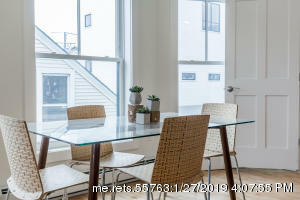 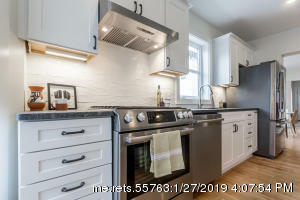 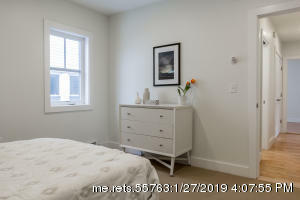 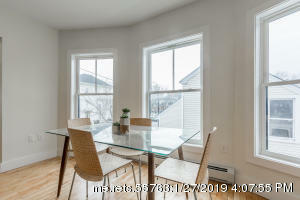 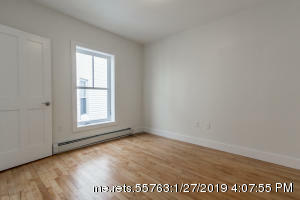 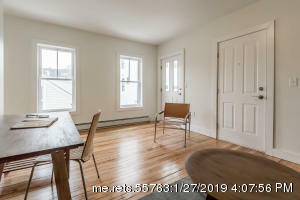 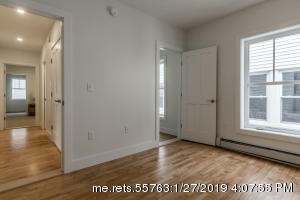 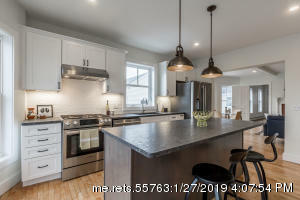 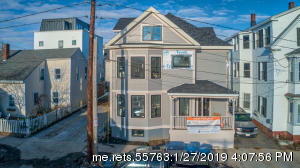 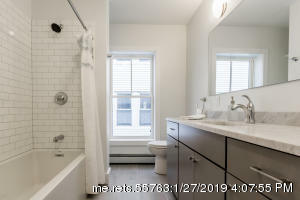 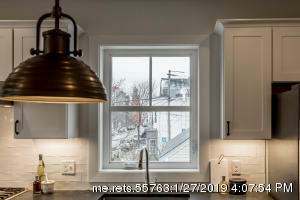 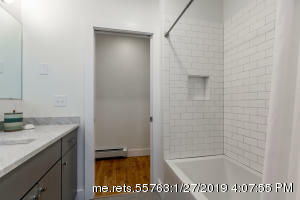 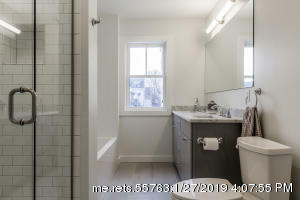 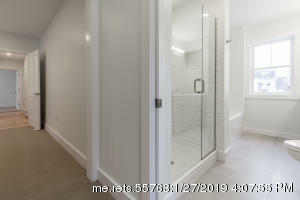 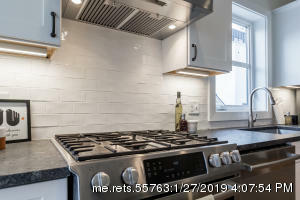 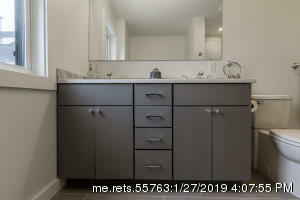 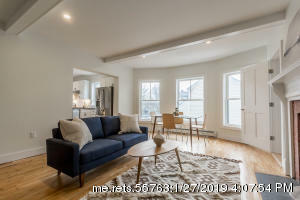 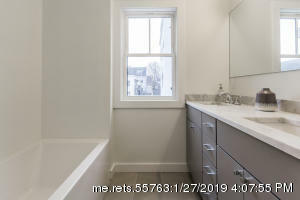 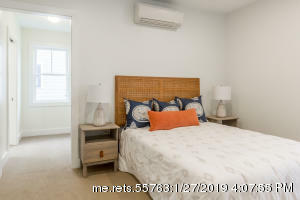 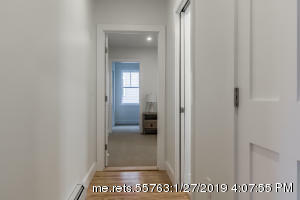 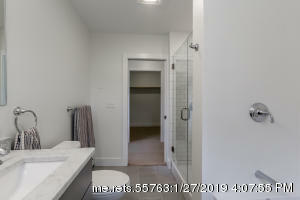 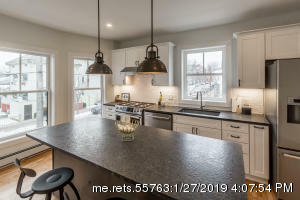 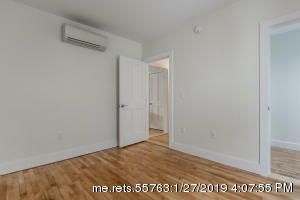 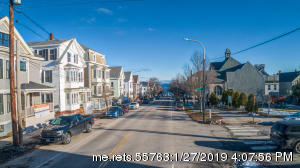 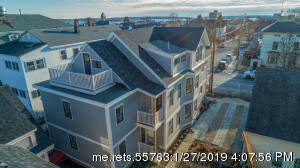 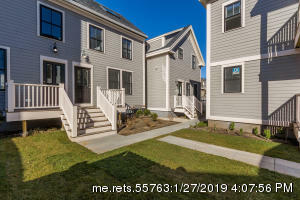 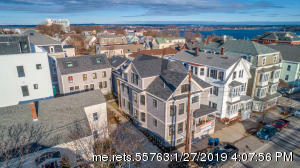 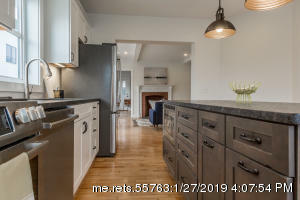 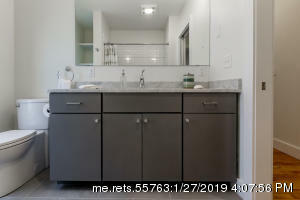 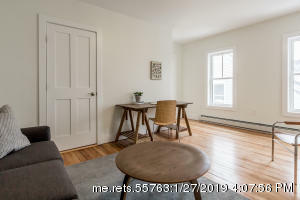 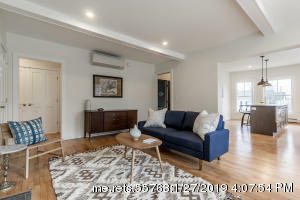 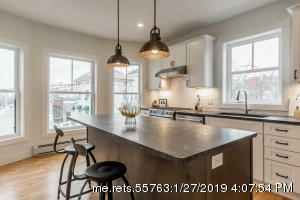 The Hill Yard condos all have been completely updated from the outside-in with a high-quality, soup-to-nuts renovation including a fully insulated exterior, thermopane Jeld-Wen windows, and brand-new heating systems and AC.